Sorry for being gone for a week. Here's a new product review for my favorite cream blusher of all time! 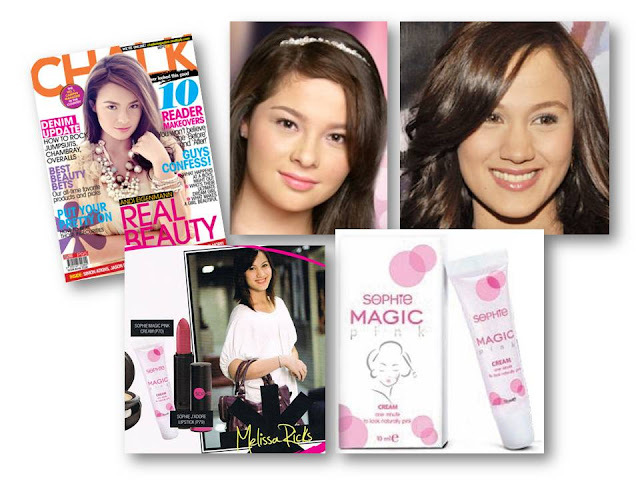 Sophie's Magic Pink is similar to Smashbox's O-Glow but way cheaper. The latter sells for about $25 while this Magic Pink is only 70php! I love this product because the subtle pink color that it produces on my cheeks looks so natural. My friends also use Magic Pink and based from our observations, the time the color appears vary from one person to another. My cheeks blush seconds after putting on this cream while for some of my friends, they have to wait for about a minute.